The Scottish National Jazz Orchestra continue their season at the beginning by celebrating the extraordinary music of two legendary names in 20th Century music. They will mark the inimitable Antonio Carlos Jobim and the irrepressible ‘Fats’ Waller in an exciting and contrasting programme of Jazz from 3-5 May. Antonio Carlos Jobim was the foremost composer of authentic Brazilian bossa nova and samba derived, popular jazz and his crossover projects with Stan Getz made him a household name. With tracks including Jobim’s enduring Girl from Ipanema and his sensuous One Note Samba, few are better placed than Brazilian guitarist Mario Caribe, vocalist Irini Arabatzi and saxophonist Tommy Smith to articulate the aspirational and escapist nature of this cool, soft, sinuous and sensual music. In complete contrast, the SNJO then invite you to enjoy a wonderful selection of the perennially popular music of the jazz pianist Thomas ‘Fats’ Waller. Immortalized in print, on record, on screen and even as an animated cartoon, his status as an influential, game-changing composer and instrumentalist is undisputed. Few pianists are more qualified to bring fresh interpretations to Waller’s challenging innovations than Scotland’s Brian Kellock and we are delighted to welcome him to the role and have chosen to feature many of his classic tunes including Honeysuckle Rose and The Jitterbug Waltz. 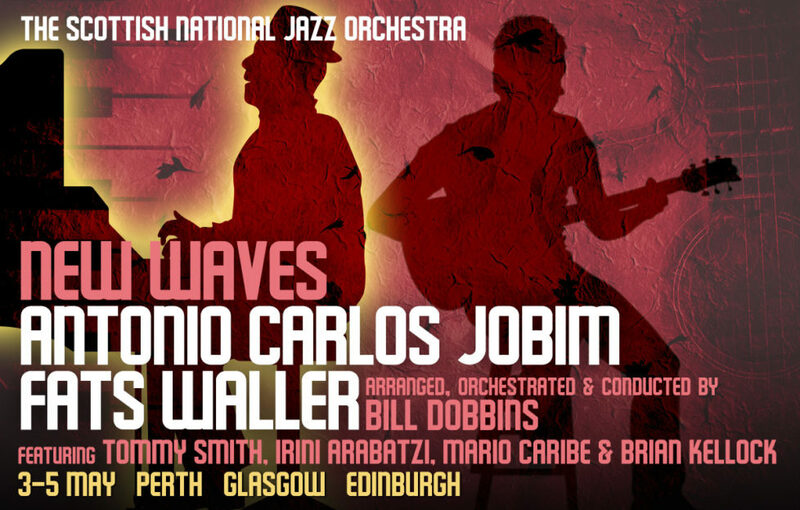 This popular programme will be orchestrated, arranged and conducted by composer Bill Dobbins and together, the SNJO with their special guests will bring warmth, affection and outstanding musicianship to this perennially popular music of Antonio Carlos Jobim and Fats Waller. All concerts start at 7.30pm but feature a pre-concert talk with Bill Dobbins at 6.45pm.